During the first half of the Spring Term we have been doing lots of learning about SPACE. In January we had a visit from a mobile Planitarium where we learnt loads about the constellations and different planets. Mr Ellis' class did a sharing assembly all about a space adventure to show off all their learning. 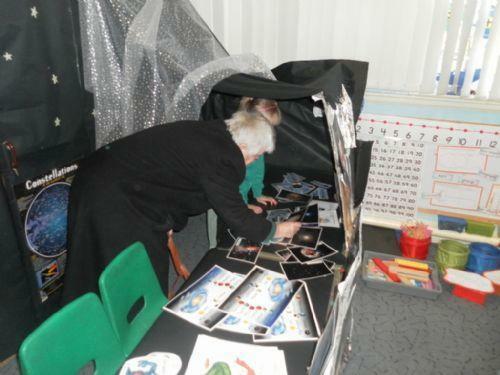 Some of the adults even came into space with us when they looked round the classroom! Every class has has been busy at home making their own space models.